It’s been a particularly cold and snowy past week few weeks around these parts, which has me dreaming of warmer days. What better way to transport myself to a warmer season than by clearing the backlog I’ve made for myself here! While I’ve been lagging in writing blog posts, I haven’t stopped documenting all the great fruits and vegetables I got from my CSA during the late summer and fall. The recipes may be a little less descriptive than usual, but I will try my best. I will also only try to post once a day – no one wants recipe overload. Hope you enjoy the “season in review” these next few days. After all, there are only 10 more weeks until the Spring/Summer CSA season starts! I’ve been using these veggies all wrong! They’re meant to be cat toys! Meanwhile, my own feline friend remains skeptical. You might have noticed a lack of posts here recently. Rest assured, I’m still getting my shares (in fact, we’re into Fall season now!) I just haven’t had time to keep up with the blog. However, I have kept up the cooking pace and have a ton of recipes in the queue just waiting for me to post. In the meantime, enjoy the barrage of posts as I frantically catch up. I’ve been getting kiwiberries in my baskets a lot recently. 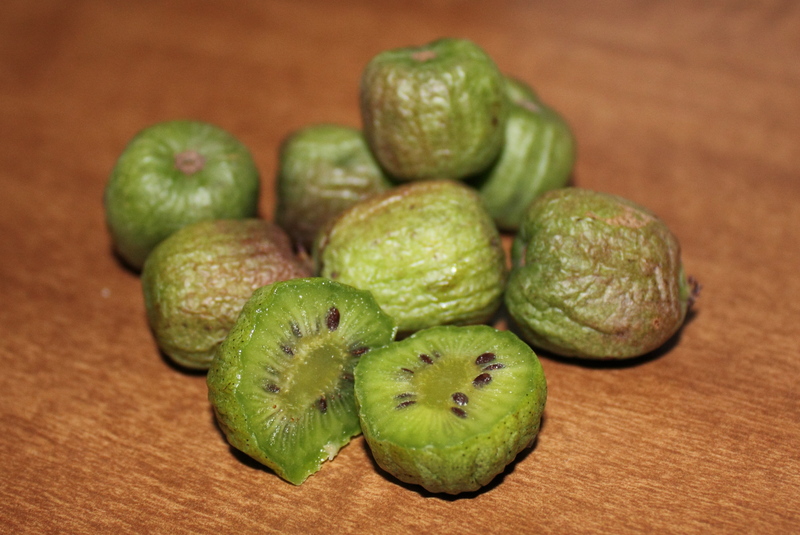 If you’re like most people I’ve spoken to, you’ve probably never heard of kiwiberries, much less tried one. According to kiwiberry.com, the farm that grows the fruit, kiwiberries are a hardy kiwi with a “no fuzz” skin. I describe them as a kiwi in grape form. Once the fruit turns soft and the skin becomes slightly wrinkled, the berries are ripe. The skin is edible and the flesh has a tangy but sweet flavor which does vary somewhat by variety. They’d be great appetizers at a party on a fruit or cheese tray! In addition to getting them with my share, I saw them for sale at some farmer’s markets in the DC area, so you may want to keep an eye out for your chance to try them! 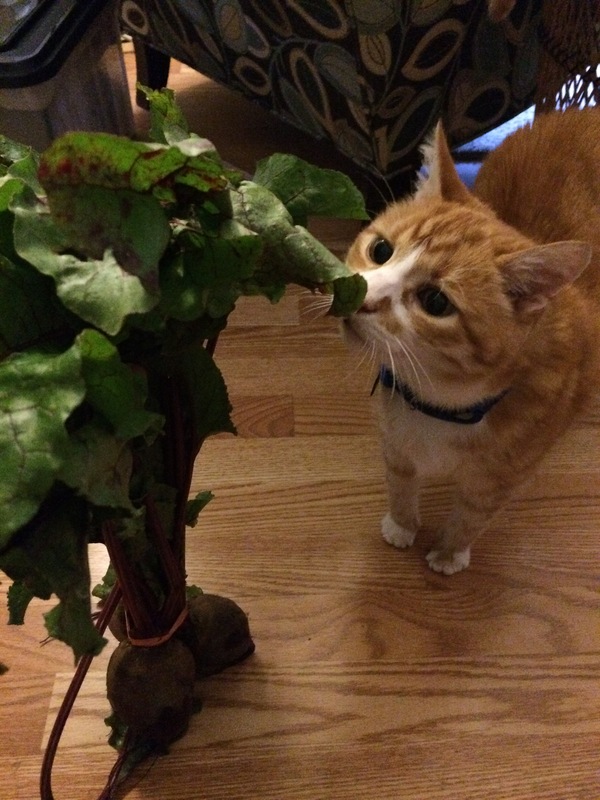 (You can also order them in bulk from the grower.) The season is over now, but add it to your seasonal shopping list for next summer.